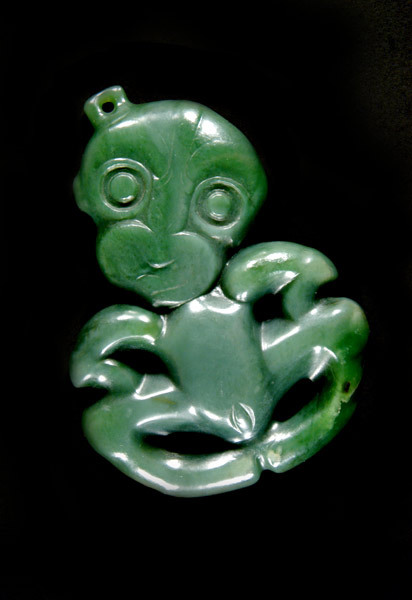 Kaiapoi pā, at the eastern end of routes across the Southern Alps, became the centre of working and trading in the prized stone pounamu (greenstone, or New Zealand jade). The stone was carried from the Arahura River in Westland across what is now Harper Pass to Kaiapoi, and from there it was traded throughout New Zealand. This magnificent greenstone hei tiki (ornament) was found at Kaiapoi pā.